When selecting the titles to be included in My Lit Box, I try to perform the tricky balancing act of choosing titles that you may be looking forward to while also shining a light on books that may be flying under your radar. 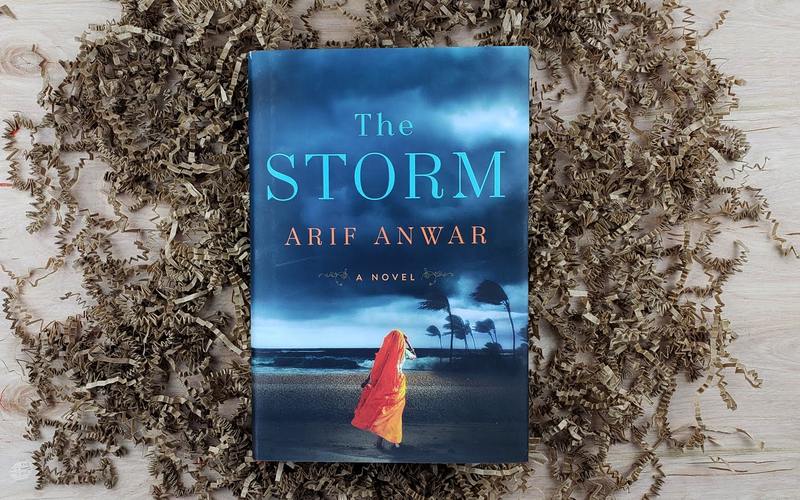 This month I went with the latter because I fell in love with Arif Anwar’s ability to seamlessly weave multiple stories across time without skipping a beat. I wanted the items in this month’s box to reflect in some way, the things Shahryar struggles with the most. Of course, at the top of his mind is if he’ll be able to stay in the United States. Sometimes when we are faced with challenges, all we can do is our best and let fate run its course, hence the “To be, or not to be” pencils from Could You Please. If I were in Shahryar’s position, I think my biggest fear would be that if I left, my child would forget about me. This Forget Me Not notepad from Knock Knock wouldn’t exactly solve that problem, but I think it serves as a reminder to remind others what they mean to you in hopes of alleviating the fear of them forgetting about you. So, there you have this month’s box and I hope you enjoy the added bonus of a signed bookplate from Arif Anwar himself! Our other two selections this month are Welcome to Lagos by Chibundu Onuzo and From Twinkle, with Love by Sandhya Menon, so if you’re looking for more to read, be sure to check those out! Once you’re finished reading The Storm, don’t forget to come back and share your thoughts with us! Until next time.